To the extent that we are not living our lives exactly as we want—with the love and friendships we want, the abundance we want, and the happiness we are seeking—it’s to that extent we are resisting it. It’s that word again: resistance. Essentially, resistance is any thought, belief, or behavior, either conscious or unconscious, that stands contrary to our desire. On the surface, we can be doing positive affirmations, creative visualizations, and imagining our success. But in the end, we get what we expect. Every single time. Sometimes it can be as simple as not believing that you can have what you want. That way of thinking places limitations on what is possible for you. You are restricting what could be with what you think will be. And you end up getting what you expect. Your consciousness is a powerful tool. If you don’t believe you can have the thing you desire, it shows up as resistance, despite all the things you are doing to achieve your goals. Okay, so, what to do about it? Live in the possibility rather than the probability. The reason anything is not happening in your life is because in one way or another, you are not yet lined up with it (you don’t think it’s possible, don’t think you’re worthy of it, or don’t think you can have it). 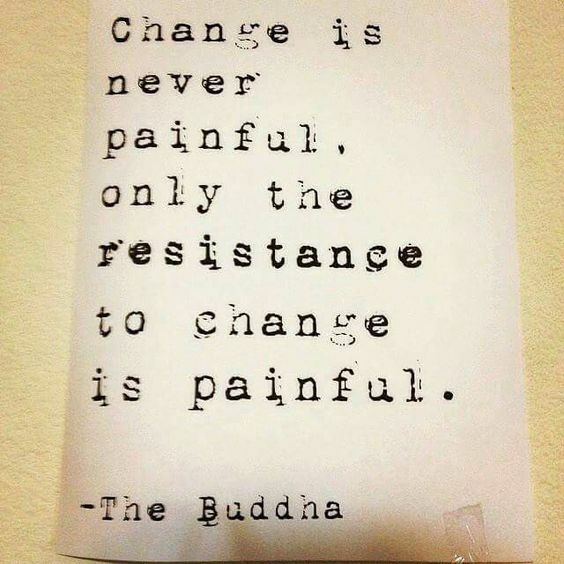 We all experience resistance everyday when we’re trying to do something that matters. The fact is… resistance is relentless. It’s deeply wired into our brain. Resistance is the feeling to move away from what is uncomfortable and move towards what is more comfortable. And not only is this feeling hardwired into most of us, because it is repeatedly practiced, it compounds over time making the emotion stronger and stronger. Become intimate with your resistance… the thoughts, the feelings, the behavior that results by default. The moment you become aware of your resistance, put some space between you and your resistance by welcoming it and letting it go.